Green Taylor Partners has established a reputation for providing a comprehensive and highly efficient Self-Managed Super Funds service. But what sets this practice apart is their ability to create a true partnership with their clients. One of the key attributes for their success is the way they use The BankLink Service. Green Taylor Partners first began using BankLink for their business clients, enabling them to significantly increase their efficiency and effectiveness. According to Rohan Brown and Matt Richardson, Principals at Green Taylor Partners, it didn’t take long for them to identify that these same benefits could just as easily be achieved with their Self-Managed Super Fund (SMSF) clients. Improved productivity has allowed Green Taylor Partners to expand their range of services and work more proactively with their clients. 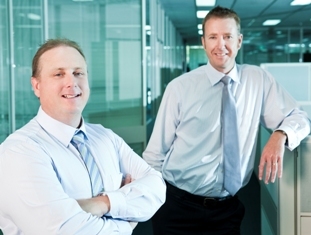 “BankLink gives you the capability and the capacity to expand your SMSF business,” says Matt. The practice uses BankLink in combination with BGL Simple Fund – creating some impressive results. Excess contributions and security of information are two key concerns for SMSF clients. BankLink helps Green Taylor Partners more easily monitor contribution caps and resolve any potential issues before they become a real concern. It’s easy to see why this practice continues to grow their productivity and their SMSF client base.